The company produces premium apples and cherries in the Mount Canobolas district, west of Sydney. Owner Fiona Hall says BiteRiot! is hoping to air freight at least 3 shipments a week, and it will be a major boost not having to go through Hong Kong. BiteRiot, along with partner, Vincent Chen of TopFruit, have established distribution facilities in Guangzhou and Shanghai to service the E-commerce channel. 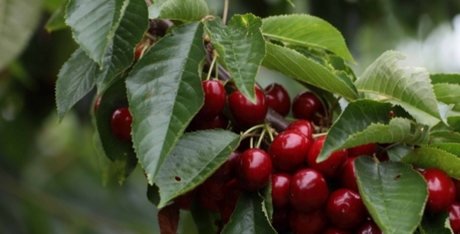 The Australian Federal Government last year struck a deal to air freight cherries from the Australian mainland directly to China, through improvement to the airfreight protocol. That means the fruit can be on the shelves in less than three days. "It's just the premium cherries, as they have to go through a fumigation treatment, so they have to be top quality to stand up to that treatment," Ms Hall said. "The cherries get gassed with chemigation[FH1] to ensure there is no Queensland fruit fly. It is done at a treatment facility in Sydney, and it is a few hours process. So, it doesn't add much time to the process." The company also exports to Hong Kong, Singapore, Malaysia, Indonesia and Vietnam, which has just re-opened in the past two years under an irradiation protocol. "We probably export around 70 tonnes in total," Ms Hall said. "That is the projection for this year as well. We have had good fruit set, so it is looking positive for this season. We will start harvesting in mid November ." 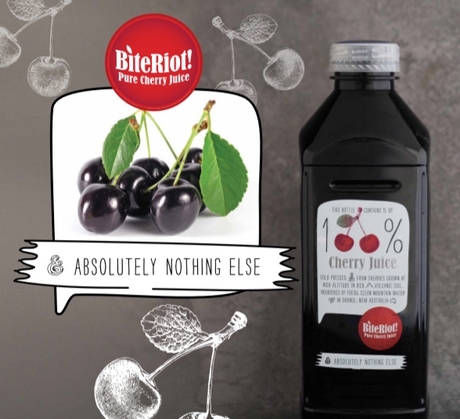 As well as fresh cherries, BiteRiot! also produces a range of value-add products, such as 100% cherry juice. "They are from the cherries that we have that aren't quite there, quality-wise," Ms Hall said. "Our partners also have a cherry and apple cider, and we produce fresh apples as well. The cider is a new product that was developed last year. The cherry juice is in Hong Kong and Singapore. It is going well, there is a lot of health benefits. It is good for rheumatism and gout, and people swear by it."